NEW YORK, NEW YORK – September 19, 2018 – GameChange Solar welcomes thought leaders in the solar industry to visit us at SPI and review the study results compiled by GameChange Solar’s research team. The study has revealed that over 1,000 GW of solar will be deployed in the USA and has identified where and when these plants will be built. We look forward to discussing this opportunity and how GameChange is going to help make this happen. 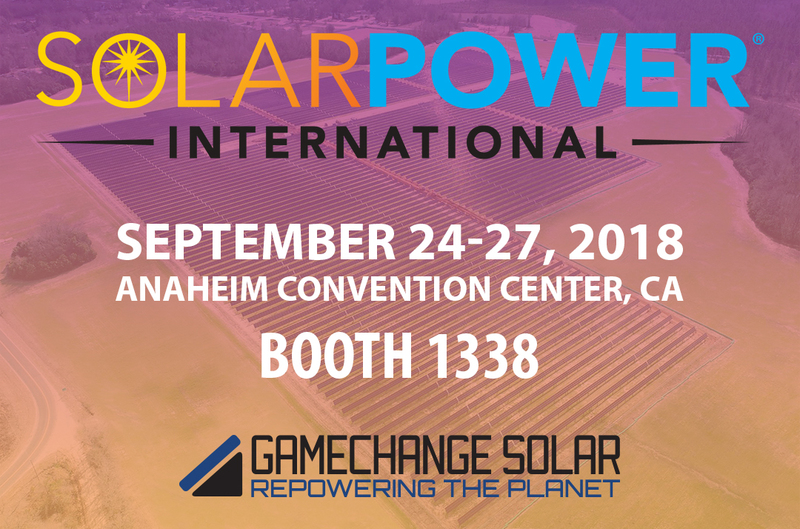 GameChange Solar will be located at SPI Booth 1338 at the Anaheim Convention Center in CA.